Hi, on Saturday 30th March 2019 I am teaching a workshop at the 'Create with Kindness event held by the British Red Cross. Handicraft Demos, sales tables and workshops. My workshop is a Cathedral Window Pincushion from 10.30am till 12.30pm , cost £10.00 and all material are provided. Saturday Workshops now ready to book. I have two Saturday Workshops coming up. ​We all have lots and lots of scraps, and are not sure what to do with them. This workshop will give you some ideas to use them up. ​Second is on Saturday 24th March called 'More Scraps'. 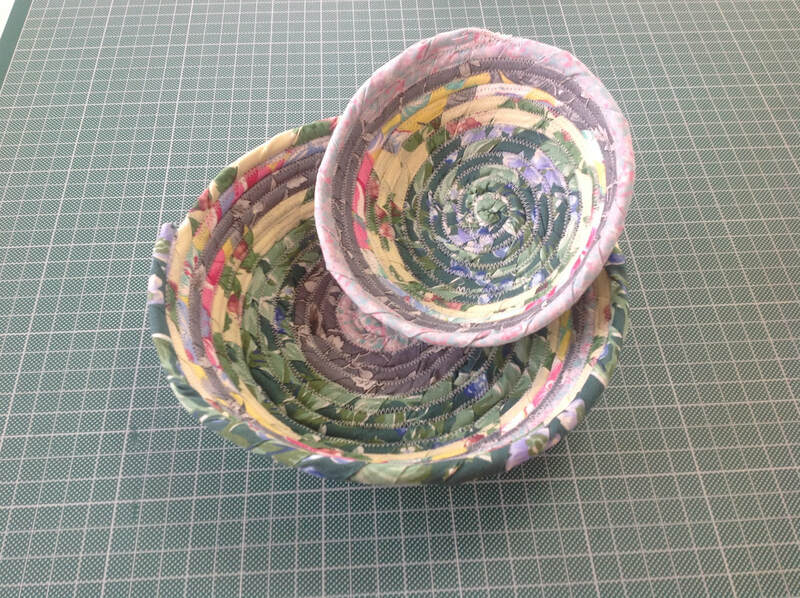 ​More ideas to use up your scraps. ​Both workshops run 10am till 4pm. Click on the 'Saturday Classes' for more information. 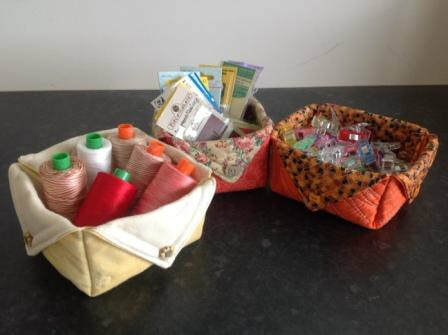 ​There are still one or two places on Saturdays workshop on Thread Catchers and Fabric Boxes. I think we have enough rain now thank you. ​But whilst it still pours, how about doing something nice for yourself by signing up for a new hobby this winter. 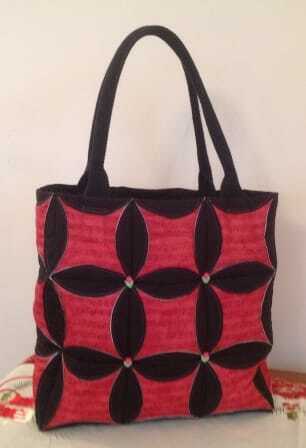 ​There are still places on all my Patchwork & Quilting Classes. ​Hi Everyone, here are my classes for Autumn 2017. ​At the workshop we will be making crazy quilts. 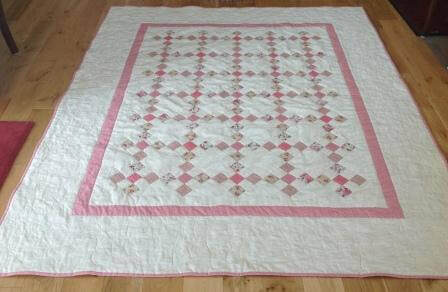 ​ Learn to make an easy quilt by stack & whack, 'anything goes ' method. Instruction, assistance AND material will be provided. A happy new year to you all when it comes. At last I have a list of my new classes I am teaching in 2017. My computer and I havn't been getting along this past couple of weeks, so I'm glad to say I'm now up and running. ​If you press the tab 'Saturday Classes' you will find the 5 Saturday workshops I am running. There are hand classes, ones that use your sewing machine, and ones that use both. ​Under the tab 'Patchwork Classes', I have listed 3 classes, but each class is either on a Tuesday evening or a Wednesday morning. ​If you are interested in any of my classes or workshops please get in touch very soon. I only have 6 spaces for each class/workshop. Please get in touch if you need more information. Well classes have now started and it's all very exciting. 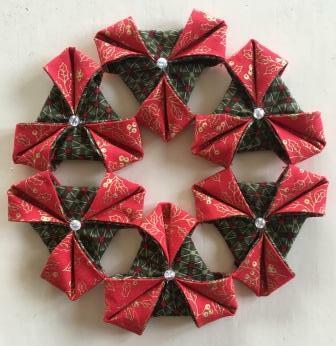 ​There are still one or two places to fill in the Saturday classes also the Basic machine quilting and the Squares, triangle and strips class. Be quick if you want a place. ​If there is a class you would like me to teach in the future, please get in touch.